Brussels (AFP) - European Union leaders agreed Friday to boost aid to combat the deadly Ebola virus in west Africa to one billion euros ($1.26 billion), EU president Herman Van Rompuy said. "EU will increase financial help to 1.0 billion euros to fight Ebola in West Africa," Van Rompuy tweeted on the second day of an EU leaders' summit in Brussels. The 28 member states and the European Commission have already pledged nearly 600 million euros to pay for medical staff and facilities in the worst affected countries -- Liberia, Sierra Leone and Guinea, where some 4,900 people have died of the disease. British Prime Minister David Cameron has led calls to raise 1.0 billion euros, urging his EU peers to match London's efforts to tame a disease for which there is no vaccine nor cure, only therapeutic treatments. So far, there have been some 10,000 cases but experts have warned that infections could soar to 10,000 per week by early December -- a terrifying prospect for a disease with a death rate running at 70 percent. There have been some isolated cases in the United States and Europe but authorities are trying to put as many resources as possible into west Africa in the hope of containing it at its main source. 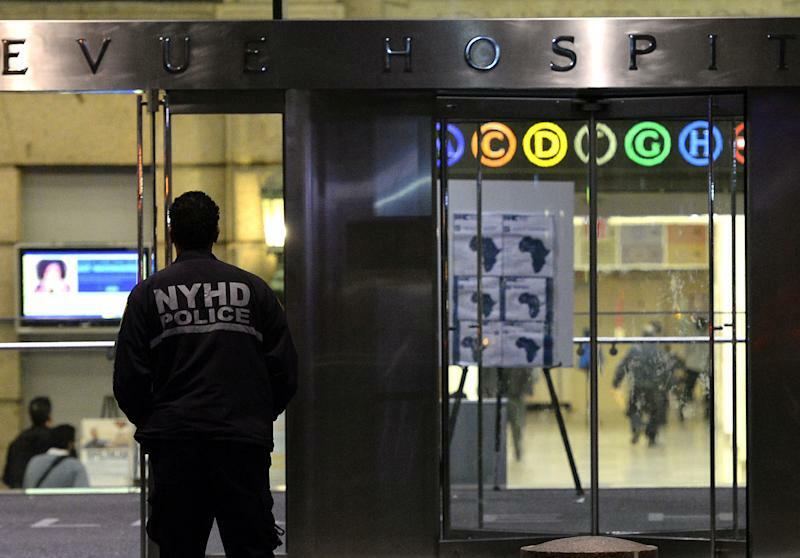 On Thursday, officials said a doctor who recently returned to New York from treating Ebola patients in Guinea tested positive, the first confirmed case in the country's largest city. The Ebola crisis is a major concern at the EU summit, with German Chancellor Angela Merkel calling for the bloc to agree how many personnel it should send to west Africa to fight Ebola on the ground. Leaders agreed Thursday to name Christos Stylianides, incoming Cyprus Commissioner for humanitarian aid, as coordinator for the Ebola response.